•	Mail to Young Writers’ Literary Awards, c/o Creative Writing Department, Alabama School of Fine Arts, 1800 Rev. Abraham Woods, Jr. Blvd., Birmingham, AL 35203. •	Entries must be postmarked by February 28, 2016. •	Limit one entry per category, per student. •	All submissions must include a separate typed cover sheet for each individual entry stating the student’s name, full home address, area code and phone number, email address, school, grade level, English teacher’s name, category entered (poetry, short fiction, or creative nonfiction) and the title of the piece. •	The student’s name should not appear anywhere on the work itself. •	All entries must be typed in a standard font (ex., Times New Roman) on standard 8 ½ x 11 white paper and stapled. No notebooks or binders accepted. •	All prose (short fiction, creative nonfiction) must be double-spaced; poetry should be single-spaced. •	Poetry – No more than two pages, single-spaced. •	Short Fiction – No more than 10 pages, double-spaced. •	Creative Nonfiction – No more than 10 pages, double-spaced. •	Students should keep copies of their submissions; no manuscripts can be returned. •	All work must be original. Plagiarized entries will be immediately disqualified. •	Entries that do not follow all guidelines will not be considered. The Aspiring Minds Poetry contests are designed to spotlight talented high school poets in specific areas of the state. Open to 9 – 12th grade students enrolled in any public school located in the following Alabama counties: Lauderdale, Colbert, or Lawrence. Open to 9 – 12th grade students enrolled in the Birmingham City Schools. Open to 9 – 12th grade students enrolled in any public school located in the following Alabama counties: Hale, Perry, Greene, Tuscaloosa, Bibb, or Marengo. All first place winners will be included in ASFA’s award-winning literary magazine, Cadence, alongside the original work of current ASFA Creative Writing students. •	Mail to Aspiring Minds Poetry Contest, c/o Creative Writing Department, Alabama School of Fine Arts, 1800 Rev. Abraham Woods, Jr. Blvd., Birmingham, AL 35203. •	Students may submit up to three poems. •	All submissions must include a separate typed cover sheet for each individual entry stating the student’s name, full home address, county of residence, area code and phone number, email address, school, grade level, English teacher’s name, and the title of the piece. •	Entries must be typed in standard font (ex., Times New Roman) on 8 ½ x 11 white paper. •	Poetry should be single-spaced; no individual poem may exceed two pages. This program is supported by the Alabama Humanities Foundation (AHF). Do you love stories—writing them, watching them, dreaming them up? Have you written poems you’ve never shown anyone? Does the thought of reading a new book excite you more than just about anything else? Then this half-day camp is for you. Pick either the morning or afternoon session; this camp is perfect for mixing and matching with ASFA’s other half-day camps this week! In either session, ASFA’s award-winning Creative Writing faculty will introduce rising 6 – 8th grade students to the fundamentals of creative writing (poetry and prose), offer generative prompts and provide constructive feedback. Tuition includes a writing journal, an anthology of work created during the week, and a daily snack. This camp is specially designed for students who have completed the Beginning Creative Writing Camp in a previous summer—and it’s well-suited for students who are seriously considering applying for admission into ASFA’s Creative Writing department during the regular school year. After a quick review of the fundamentals, ASFA’s Creative Writing faculty will help returning campers to dive deeper into the craft of writing while again offering generative prompts and providing constructive feedback. Tuition includes a writing journal, an anthology of work created during the week, and a daily snack. This camp is perfect for mixing and matching with ASFA’s other half-day afternoon camps this week! You’re a digital native, always with a camera in your hands. You see the world through a lens, you love the way sounds and images conspire to tell stories, and your attention perks up at the sound of crisp, clever dialogue between characters you really believe. You’re a filmmaker at heart, and ASFA’s new filmmaking summer intensive is the place for you to be for two memorable, magical weeks at the end of June. During the first week, ASFA filmmaking faculty members will introduce rising 10 – 12th grade students to the fundamentals of script writing, digital film production, and film history. The second week is all about hands-on experience: under the guidance of the film faculty, students will team up to write, produce, and edit short films, all leading to a mini-film festival presenting the films produced during the camp. Tuition includes snacks and lunch each day, along with hands-on experience using ASFA’s new media lab. Wanted: rising 9th – 12th grade students who can’t think without a pen in their hand or a keyboard at their fingertips. Must love reading everything: novels, stories, poems, blogs, street signs, fortune cookies, strangers on the bus. This two-week, full-day camp offers an advanced, in-depth study of creative writing (poetry and prose) under the guidance of ASFA’s Creative Writing faculty. As such, it’s good preparation for students who are seriously considering applying for admission to ASFA’s Creative Writing department during the regular school year, as well as for incoming ASFA Creative Writing students who have been admitted for the upcoming school year. It’s also well-suited for anyone who is serious about developing their talent and passion for writing, even if they don’t plan on applying for admission to the ASFA Creative Writing department. Students will produce original new work, participate in group critiques and one-on-one teacher conferences, and read and discuss exemplary published work by established authors. The two-week program culminates in a student reading. Tuition includes a writing journal, an anthology of work created during the week, local field trips, and snacks and lunch each day. *All Hale County residents receive tuition-waiver scholarships through the generous support of the Greensboro Public Library and the ASFA Foundation. Please call 205-252-9241, ext. 2228, or email Ashley Jones [link: ajones@asfa.k12.al.us] for more information regarding the Hale County scholarship program. Do you love stories—writing them, watching them, dreaming them up? Have you written poems you’ve never shown anyone? Does the thought of reading a new book excite you more than just about anything else? Do you wish you had more opportunities in your area to develop your passion for writing? Then this half-day camp is just what you’ve been waiting for. During the last full week of July, the award-winning Creative Writing faculty at the Alabama School of Fine Arts will be offering satellite camps for young Alabama writers in two different locations: one in Greensboro, led by Ashley M. Jones, and another in Florence, led by Kwoya Fagin Maples. These camps will introduce students to the fundamentals of creative writing (poetry and prose), offer generative prompts and provide constructive feedback. Tuition includes a writing journal, an anthology of work created during the week, and a daily snack. 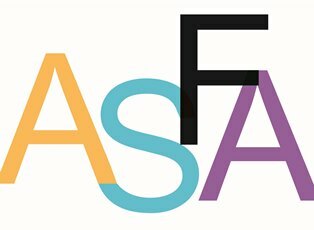 Visit https://asfacw.wordpress.com/ for info and updates about future ASFA-CW activities!